Today no industry can afford to remain stagnant with technological innovations. A sterling example is the media industry that remained oblivious to advancements and today struggles to remain relevant. Another revolution taking place right under our eyes is the online Amazon launch in Australia, which over the last week lobbed a grenade at shopping centres with its threat of larger inventories and huge price advantages. Internationally, banks and governments are also worried about the potential to be circumvented by the bitcoin revolution which promises that consumers no longer have to pay for the increasingly expensive bank monopoly on services. Telemetry has perhaps been the crucial piece of the puzzle in understanding our environment better and making us more productive for sustaining better lives. Up until now, telemetry systems such as SCADA has been expensive, complex and inflexible and have been mainly used in lucrative industries such as oil & gas. That has now changed. 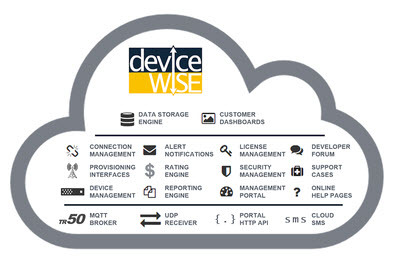 Welcome to the new world of IoT (internet of things) where telemetry is affordable, simple and anything is possible. At Glyn we have been supporting global designers for over a decade with fast to market communication modules such as cellular, satellite, Bluetooth, wifi, Lora, and Sigfox. The sales staff at Glyn are Design Engineers by background so it was never going to be enough for us to just sell parts….and besides our customers need to get to market faster with ever decreasing design cycles. This quickly lead us down the path developing value added services to help our customers be successful in their diverse markets. Glyn has developed partnerships to make this possible. Telit and Glyn are longstanding partners that have numerous successful implementations today in ANZ providing IoT solutions. The end-to-end Telit IoT stack comprises of IoT modules, global connectivity plans and IoT platforms. The Telit IoT platform is one of the most mature available today with it’s roots as an acquired platform from IBM when it was first incepted 20 years ago. Contact us today to discuss how we can help you monetise your ideas.